It’s The Flash “Versus Zoom” this week as we learn of the tragic origins of Hunter Zolomon as he walked the path through his tragic life, only to take the road of evil and become the feared speedster he is today. It’s The Flash “Versus Zoom” this week as we learn of the tragic origins of Hunter Zolomon as he walked the path through his tragic life, only to take the road of evil and become the feared speedster he is today. Barry has now become faster than ever and he wants a reluctant Cisco to open a breach so he can stop Zoom once and for all. Even though it appears to be working, Zoom finds a way to escape and kidnap Wally. Now The Flash will have to give up his speed to save him, and hope that there will still be a way to lock up the darkness. Jay and Josh enjoy some Keystone City Pizza while trying to comprehend time remnants on this week’s Scarlet Velocity: A Flash Podcast! NextRandomChatter #107: Fix Your Game! 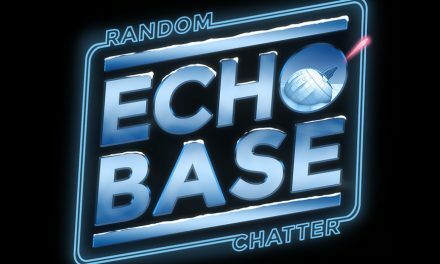 RandomChatter #117: Going Too Far?